Asia is the world’s largest continent, with natural landscapes ranging from the Himalayas and the great boreal forests of Eastern Russia to the vast expanses of the Mongolian Steppes to the tropical jungles and islands of South East Asia. Asia includes some of the greatest river systems in the world, and its marine habitats stretch from the highly productive waters of the northern Pacific to the great biodiversity of the Coral Triangle. Asia is also a continent of immense change. Its human population has virtually quadrupled over the past 100 years and Asia is now home to more people than all the other continents combined. It includes the great economies of China and India, with Indonesia not far behind, and so the impacts on Asia’s natural heritage are both great and rapid. 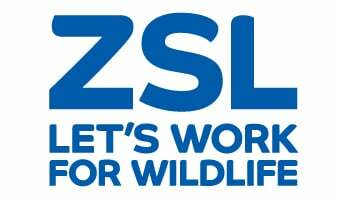 ZSL works across Asia, from the famous national parks of Nepal to marine protected areas in the Philippines, protecting top ‘umbrella’ species such as greater one-horned rhinos, tigers and sharks, and EDGE species like Bactrian camels, Asian elephants, pangolins, the Chinese giant salamander and the Hainan gibbon. While our work in protected areas is more vital than ever, we also work with people from local communities to international corporations, ensuring that human impacts are sustainable and that people are able to coexist with nature in an ever more crowded world.